This route is probably the most popular way of all to approach Mt. Feathertop. 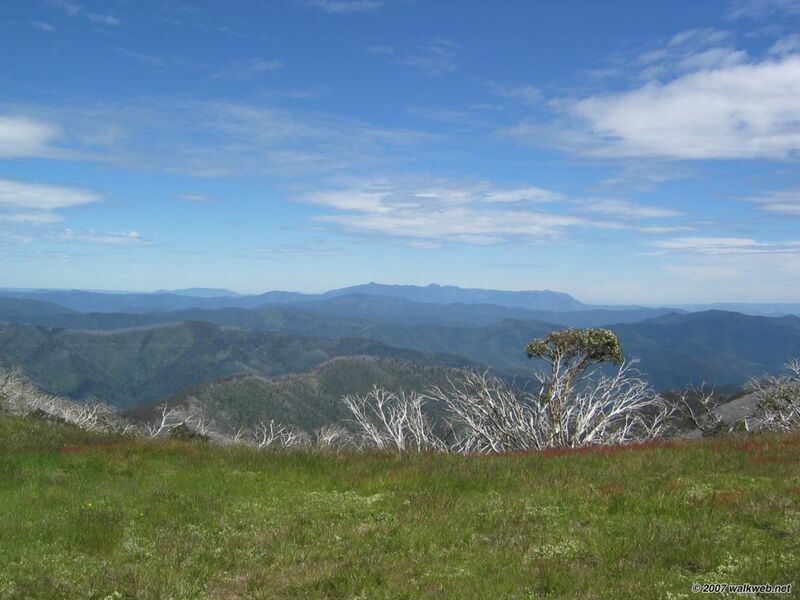 Not only does it avoid a long climb, but it provides a magnificent 10km ridge walk along the Razorback, prior to the final 1.5km pull up to the summit. The walk starts just below Diamantina Hut on the road up to Mt. Hotham (there’s generally plenty of room to park by the side of the road). The track is well defined and for the most part follows the spine of the ridge. A short distance from the start there’s a Y junction, the left spur continues to the top of a large hill and the junction with Bon Accord Spur, before descending into Big Dipper, the right spur avoids the climb up the hill by sidling along the east side. From Big Dipper the track continues about another 7km or so before it is joined by Champion Spur on the left (west) side. 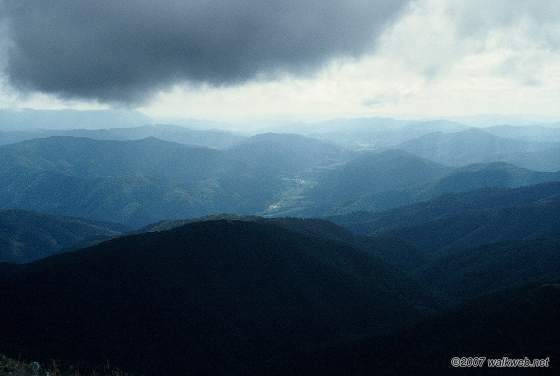 From here Twin Knobs (to the east) are passed and then the path passes to the left of High Knob, which is the top of the Diamantina Spur. The Diamantina Spur track (which avoids going up and over High Knob) joins the Razorback shortly thereafter. 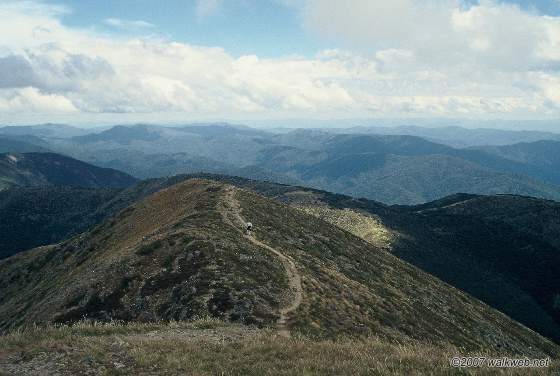 The path then curves slightly to the north-west, passing Molly Hill before reaching a track junction next to an old gnarled snowgum that has sheltered many walkers over the years (and miraculously escaped the devastating Razorback bushfire in 2003 which took out most of the ridge and Federation Hut). 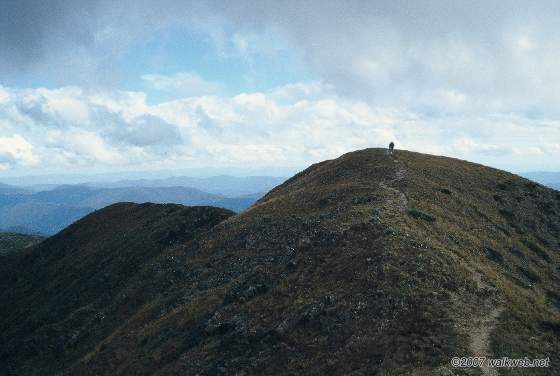 At this track junction, the path to the west – the Bungalow Spur track – leads down 500m to Federation Hut, and a very attractive overnight camping area. 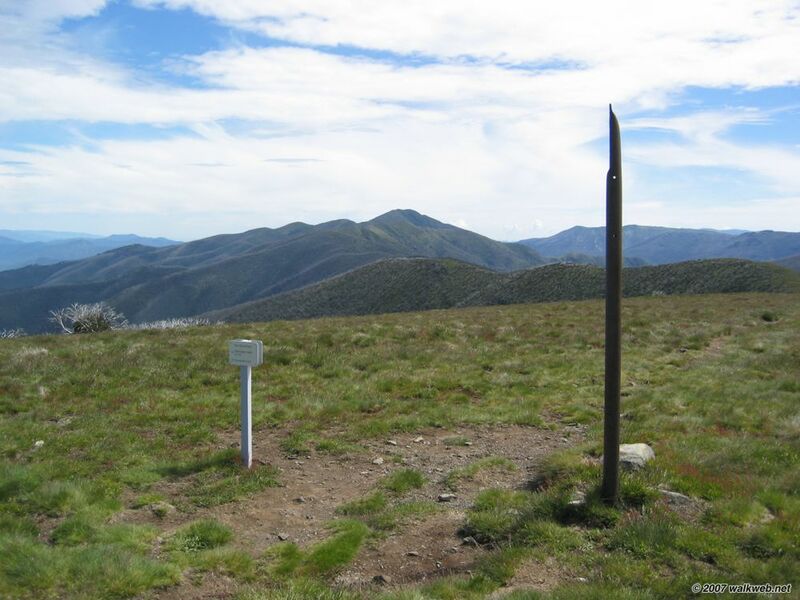 The main path continues north-east, soon passing the north-west spur track to the left (the walking track on the north-west spur is called the Tom Kneen track after a skier who died when the cornice on Mt Feathertop collapsed under him as he was making a winter ascent). From here the track starts to climb, first moderately and then very steeply, before finally attaining the summit. Note that at the summit there a two ‘peaks’ close together; the highest is the second one when approaching from the south. Views from the summit are, in good weather, magnificent. 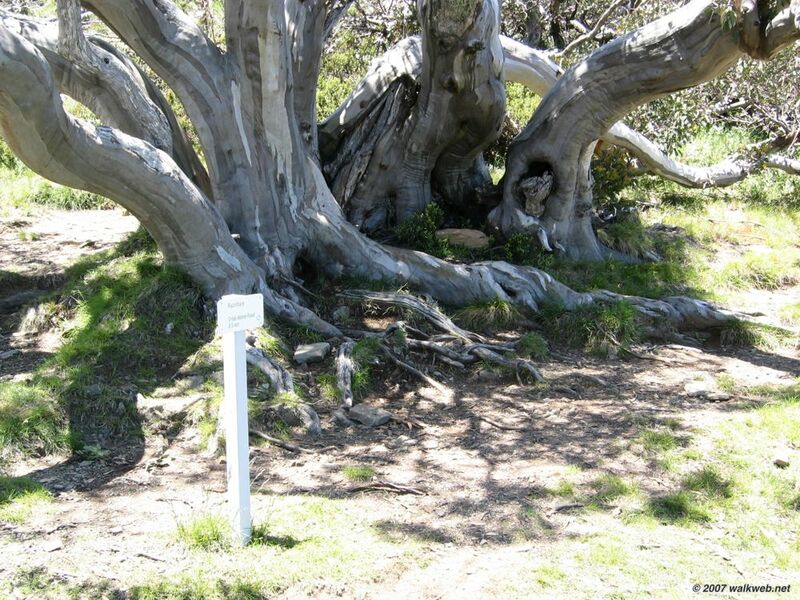 To return, follow the same route back to the Mt Hotham road. Note that while this is an attractive walk in the warmer months, the ridge is very exposed and you should be prepared for poor weather at any time, including rain and strong winds (and snow, even in summer). 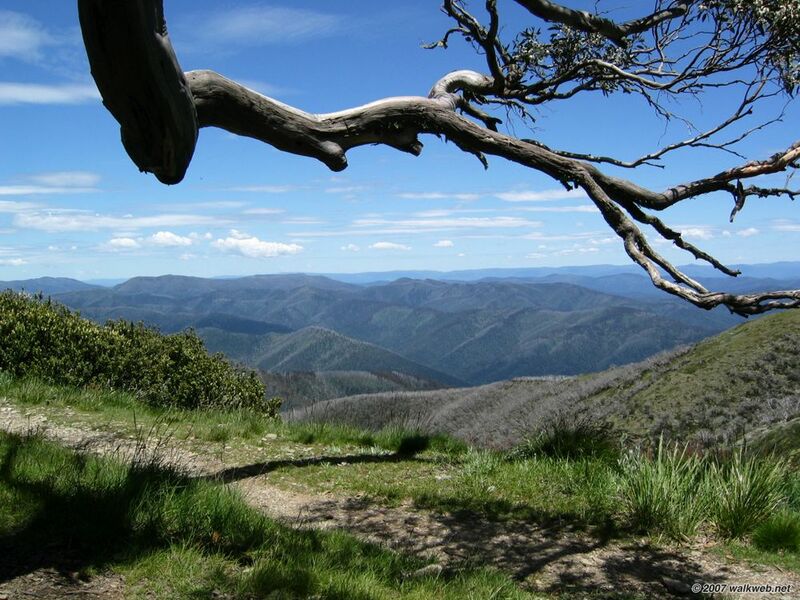 Note also, that although there are no big climbs, the walk is still over 22km return, so get an early start, particularly if you are relatively new to bushwalking.